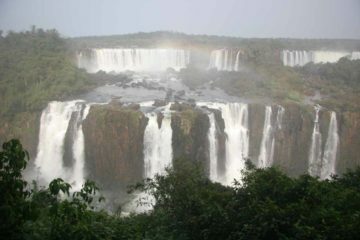 Croatia Waterfalls have been making a reappearance on the world stage after tourism there was in a long recovery resulting from the aftermath of the Yugoslavian Civil War in the 1990s. 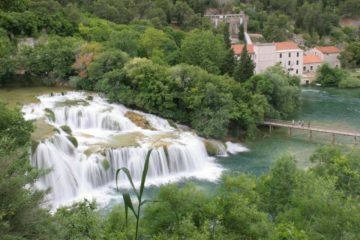 And I think the world is fortunate that the waterfalls within Hrvatska (Croatia in Croatian) have remained intact (for the most part). 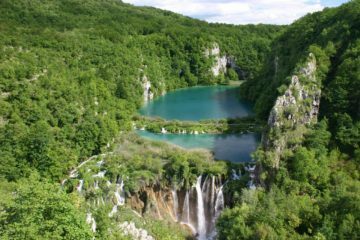 For it’s here that you’ll find what I think maybe one of the most beautiful series of waterfalls and lakes in the world in the Plitvice Lakes (pronounced “PLIT-vits-uh”). 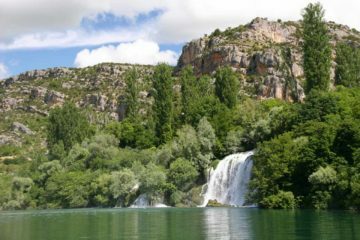 There’s also another set of karst-like waterfalls in Skradinski Buk and Roški Slap, which are both in Krka National Park. 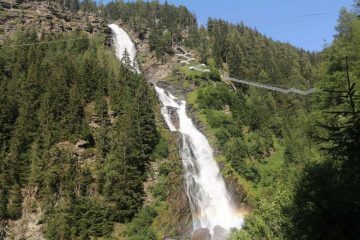 So far these are the only major waterfalls we’ve seen while in Croatia, but we’re quite certain that there are so many more in the less-touristed parts of the country that have yet to be affected by mass tourism. In addition to waterfalls, Croatia seems to have no shortage of charming cities and towns emphasizing pedestrian zones while preserving Roman, Venetian, or Dalmatian heritages in the architecture and layout as well as the food. In fact, just about every town we had visited while in the country seemed to feature these charming pedestrian centers, and perhaps the most dramatic examples are the old centers of Split and Dubrovnik. You must be logged in to submit content. Refresh this page after you’ve logged in.